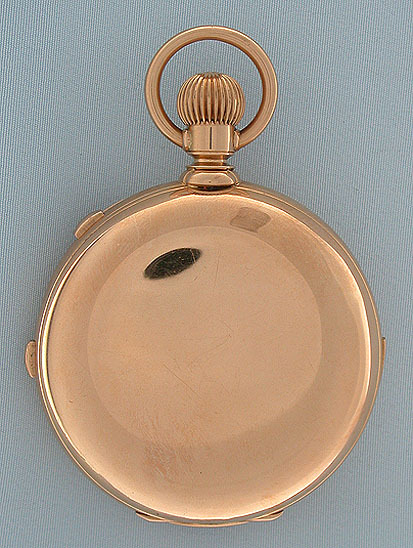 Fine and handsome Audemars Piguet 18K gold hunting case minute repeater split second chronograph antique Swiss pocket watch circa 1890. 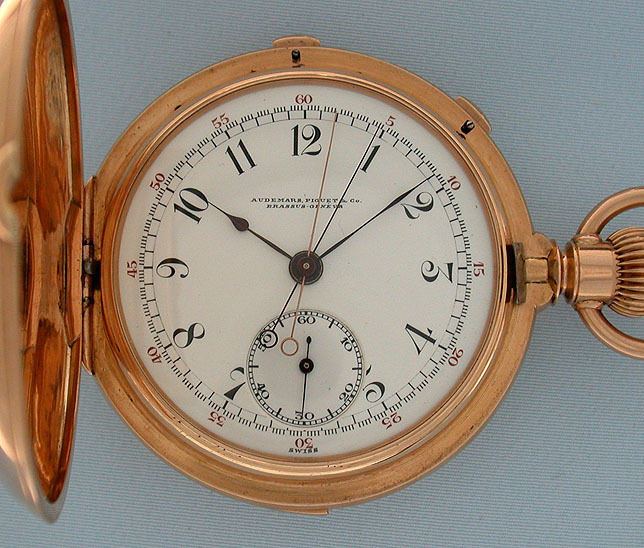 Fine white enamel dial with red and black numbers and outer chronograph scale. 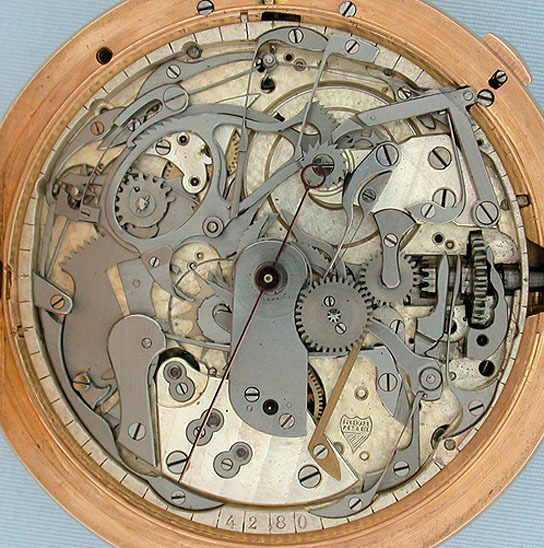 Plain polish case with recessed slide to activate the repeater and two buttons for the chronograph. 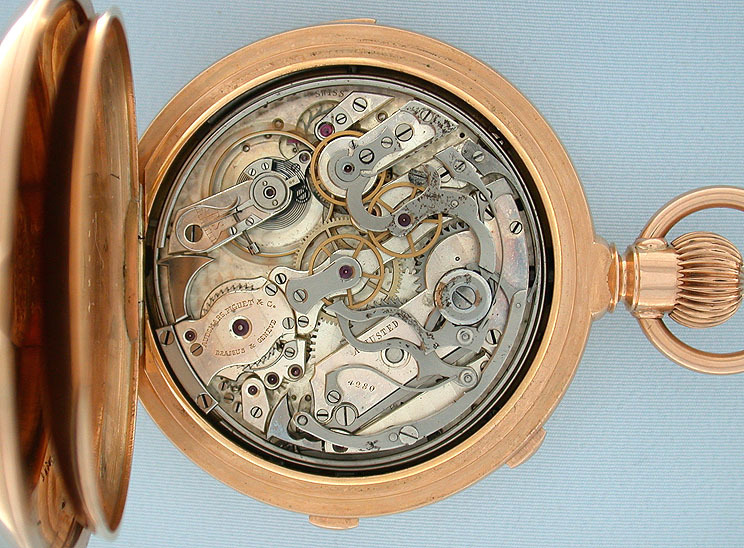 First quality adjusted nickel 32 jewel movement with light staining on part of the chronograph works which are mounted on the back.